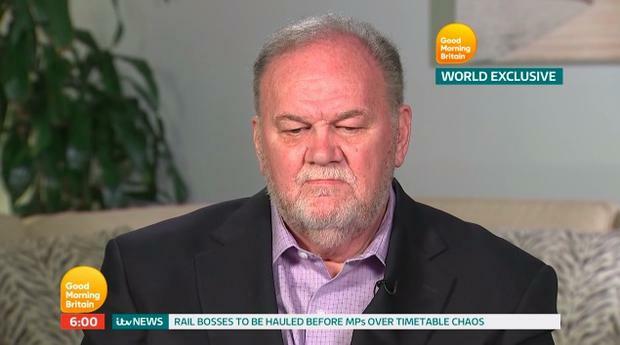 Thomas Markle expects that his daughter Meghan Markle and new husband Prince Harry will have children “soon”. 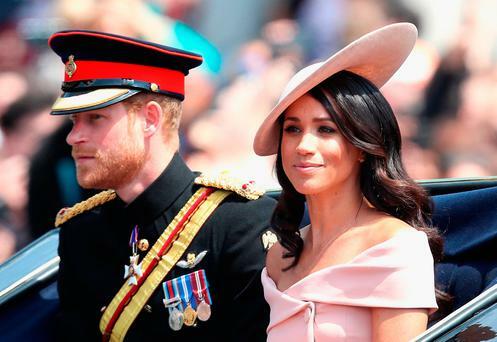 The 73-year-old retired lighting director revealed his daughter Meghan has wanted a baby of her own for a “long time” so is expecting her and Prince Harry to start a family in the near future. He said: “She’s wanted children for a long time. When she met Harry and she spoke about how much she loves him… there’s got to be a child in the making there soon. Thomas was unable to attend the couple’s wedding last month because he was recovering from heart surgery but he’s looking forward to finally meeting 33-year-old Harry on a visit to London “soon”. “I look forward to coming to London to meet them soon. I’d love to. I’m on the mend and feeling much better and doctors are making me lose weight and take better care of myself. I’ll be ready to go,” he said. But he revealed he’d warned the couple away from visiting him at his home in Mexico, telling them it was a “bad idea” due to photographers in the area. He said in an interview with ‘Good Morning Britain’: “About a day, day after [the wedding] I spoke to them both. I told them I thought it was fabulous and she looked beautiful and they talked about coming to see me and I said it’s a bad idea especially as the press would eat everyone alive. Though Thomas hasn’t yet met Harry, he thinks he is a “gentleman” and is “very happy” about his marriage to the former ‘Suits’ star. He said: “He strikes me as a gentleman, an intelligent young man and he also protects my daughter and anybody who protects my daughter I have to love and appreciated – and he does. And he has enjoyed speaking to Harry on the phone. Recalling their first conversation, he said: “It became a conversation back and forth mostly about politics, he was asking me how I was feeling that day and I said how unhappy I was with the President Donald Trump, and that’s how it began. “We talked a little about how they met and how happy they were with each other. He’s quite easy to talk to, he’s quite a comfortable person to talk to. I wasn’t nervous. 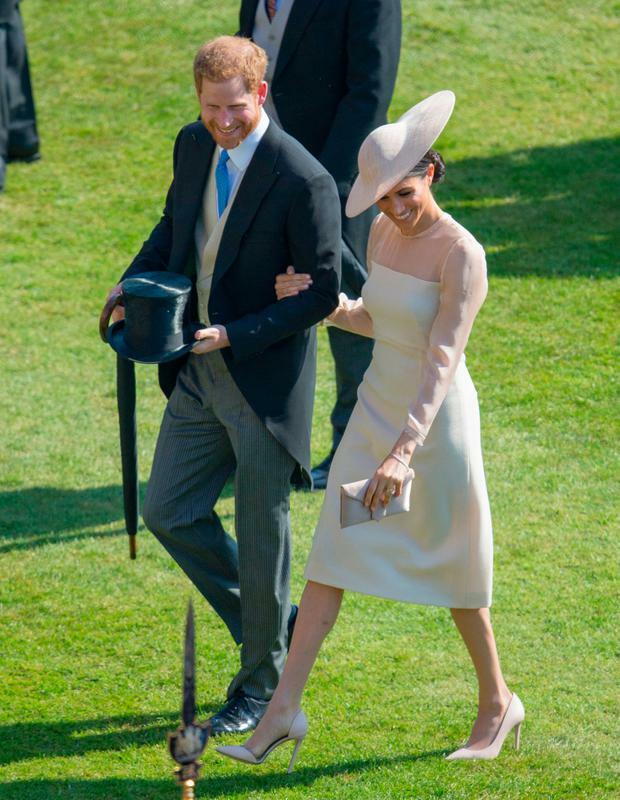 Thomas thinks Meghan will prove to be a great asset to the royal family. He said: “My daughter is very intelligent. She knows how to choose who she wants to be with. She’s a smart girl and she made a good pick. By Julia Hunt, Press Association Entertainment Correspondent Soap fans were miffed as Coronation Street and Emmerdale were cancelled due to the World Cup football. By Isabel Togoh, Press Association The tide looks to be turning on Alex George’s luck as he secures two dates in the Love Island villa in tonight’s episode.